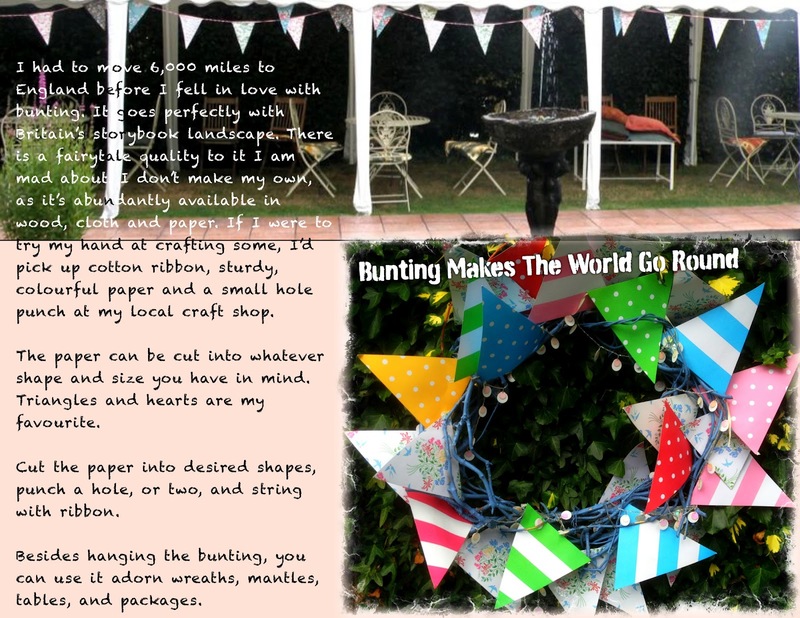 I tend to buy my bunting from a multitude of places: Online, crafts fairs, farmer's markets, departments stores and gift shops. After food, bunting is the one thing I am always on the prowl for. Friends, rightfully, have taken to calling me "The Bunting Queen." Such is my greed for festive banners that I often send my mother cards, like this one, cut out as bunting. Alas, she does not share this bewildering passion.